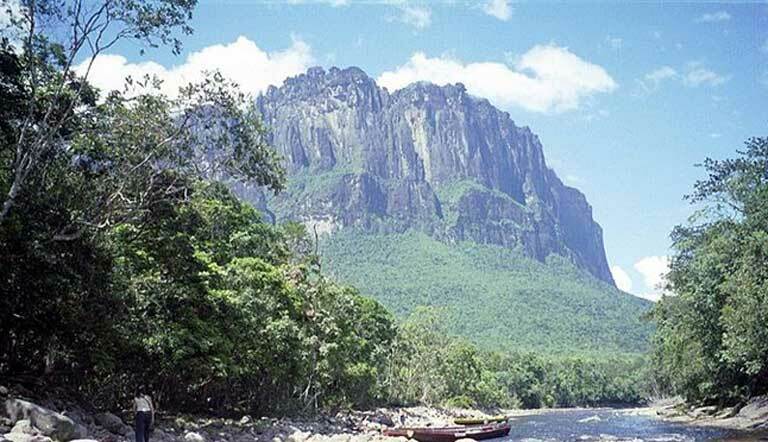 With Venezuela in economic turmoil, its citizens are being forced to destroy the ecology of Angel Falls. A bird’s-eye view of a renowned location never fails to make one gasp. These stunning pictures around the world, will leave you speechless. Nature: forests, jungles, rivers, reefs whatever form it may come in, a great green getaway is food for the soul, proven to make you happier and healthier! Source: 10 Best Natural Escapes – Time For Your Great Green Getaway! Santa Ana de Coro is in the Engandered World Heritage Sites list since 2005 and Unesco recognized Venezuela’s efforts in preserving it. 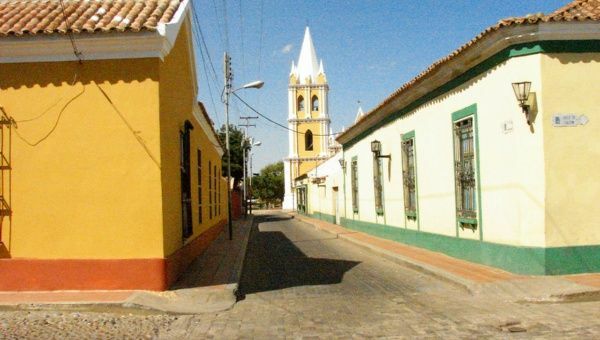 The Venezuelan Government and Unesco’s World Heritage Center have partnered in a joint effort to preserve the old town of Santa Ana de Coro and its Port of La Vela. The project has the goal of removing the site from the endangered world heritage sites list. “With great pleasure, I inform that the World Heritage Center has favorably accepted your request for assistance to contribute to the enforcement of corrective measures required by the committee,” a letter by signed Mechtild Rossler, Director of Heritage Division & Director of the World Heritage Centre, said. According to the letter, removing Santa Ana de Coro and its Port of La Vela from the endangered list is one of Unesco’s priorities in Latin America and the Caribbean. To do so, Unesco will send two technical advising missions and hand over US $30,000 to the Venezuelan government. All of these destinations are in danger due to factors such as urbanization and climate change. Make sure you travel to these while you still can. Below is a list of 14 places around the world that you should see soon before they disappear. Examples include the Belize barrier reef, the historic center of Vienna, and the Chan Chan Archaeological Zone in Peru. If you have a long list of places around the world that you’d like to see, you might need to start prioritizing. There are a whole host of sites that are endangered due to a variety of factors ranging from political upheaval, too many visitors,, lack of funds, environmental factors, and so much more. Because of the precariousness of these sites’ futures, the sooner you make the trip to see them, the more likely it is that they’ll be there for you to see in all their glory when you do. While wanderlust has always been my (everyone’s?) thing, lately I’ve been specifically craving nature sights like something fierce. (Perhaps, I’m worried they’ll soon disappear.) Rainbow-hued beaches, the Grand Canyon, and any and all of these forest-bathing locales are calling to me very loudly. Recent buzz around Niagara Fall’s breathtaking winter freeze turned me onto a yet another natural wonder: waterfalls. I’ve done the research and so I implore you to not, as TLC once urged, “stick to the rivers and the lakes that you’re used to.” Instead, venture (and adventure) to these seven thrilling waterfall sites situated all over the globe. Or you know, just view the pictures below because even images of nature have been proven to improve body positivity. I believe it. Keep scrolling for epic hydro-centric inspiration. As Venezuela sinks into chaos and violence, Pres. Maduro rushes to salvage its sinking economy by selling off the nation’s natural legacy in the Orinoco Mining Arc – analysis. Venezuela is fast becoming a failed state, with 11.4 percent of its children malnourished, 10.5 percent of its workforce unemployed, and an annual inflation rate of roughly 2,700 percent for 2017. Serious food, fuel and medicine shortages have in recent months resulted in mobs raiding stores and shops, fishing boats, even the stoning of a cow to death where it stood in a field, in order for people to be able to provide for their families. Meanwhile, Pres. Maduro has sought to save his nation from economic ruin by selling off its natural resources, opening the Arco Minero in Bolívar state to mining – 112,000 square kilometers, more than 12 percent of the country. He has also announced the creation of the Petro cryptocurrency, backed by the nation’s oil and possibly minerals. Source: Venezuela: can a failing state protect its environment and its people? Disney fans can visit the inspirations behind iconic Disney movie locations, like the real-life Cinderella’s Castle in Germany. Many Disney animated film locations are based on or inspired by real-life destinations. 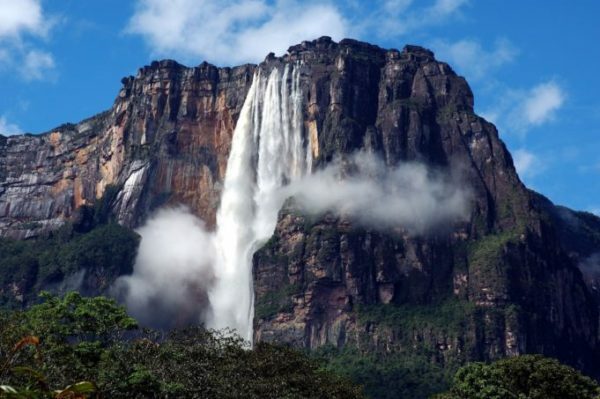 Paradise Falls from Pixar’s “Up” was based on the real Angel Falls in Venezuela. Both Cinderella’s Castle and Sleeping Beauty’s castle were inspired by Neuschwanstein Castle in Germany. The most iconic Disney movie settings don’t just come from animators’ imaginations; they are usually inspired by actual places. From the fjords in Norway that influenced the design of the Arendelle kingdom in “Frozen,” to the real-life Cinderella’s Castle that can be found in Bavaria, Germany, INSIDER has rounded up 16 of the most popular Disney movie locations that you can visit in real life. Keep scrolling to start your bucket list of Disney-inspired destinations that every fan should see in their lifetime. The Neuschwanstein Castle is a 19th-century palace overlooking the Bavarian Alps. The pointed towers and turrets of this castle, which was built for the 19th-century Bavarian king, Ludwig II, are instantly recognizable to Disney fans. Husband & Wife team of James Pearson & Caroline Ciavaldini scaled the Angel Falls the highest Water Fall In Venezuela. The fall got acknowledged as world’s dazzling natural, uninterrupted waterfall. Has been declared by the UNESCO as a “World Heritage Site. Caracas, Venezuela -Husband & Wife team of James Pearson & Caroline Ciavaldini, they shared that it is romantic to conquer the untouched and untrodden paths. To realize this dream, they ventured to climb the 3230 feet of the waterfall. It took them six days to complete the adventurous achievement. The route was of course from bottom to up, all the way. They have conquered many other mountains around the earlier together. Angel falls are highest in the world. The team of this couple enjoys climbing, jaw-dropping ascents around the world.